The Civil Service Commission (CSC) announced that the schedule of the Civil Service Exam - Pen and Paper Test (CSE-PPT) for the Year 2019 will be held on March 2019 and August 2019. As announced, the application will be on First Come, First Serve basis. Civil Service Commission (CSC) said that applications may close earlier than the deadline if the Regional Offices or the Field Offices have already reached the target number of applicants. 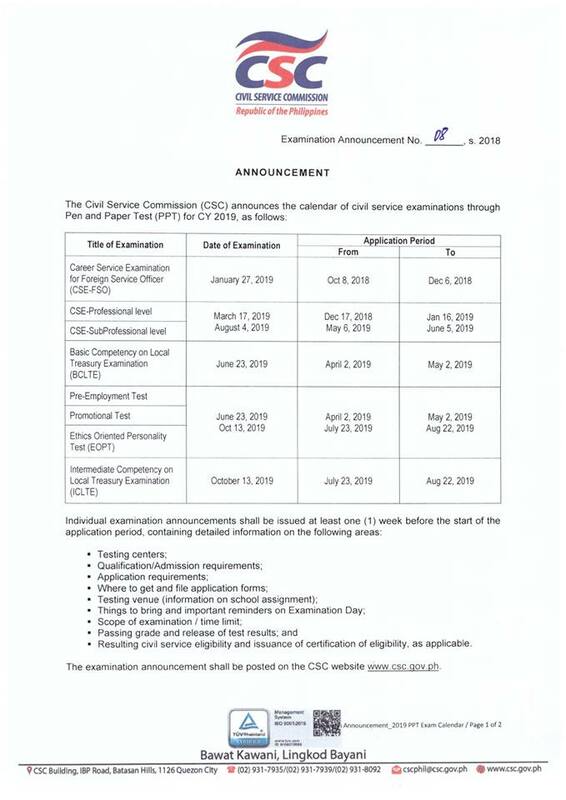 Here is the detailed schedule and deadline of application for 2019 Civil Service Exams (Professional and Subprofessional levels), courtesy of CSC. Images courtesy of CSC Region 4. CSC said that official list of passers and related results for all regions in the March 2019 and August 2019 Civil Service Exam Exams (CSC-PPT) will be available at their website within 41-60days after the exams. In March 2018 and August 2018 Civil Service Exams, results were released after 60 days while during April 2016, October 2016, March 2017 and August 2017 Civil Service Exams, the results were out within forty one (41) days. The official memo is yet to be released by the Civil Service Commission, For details of the previous exams, you may also refer to below memo for details, courtesy of CSC. 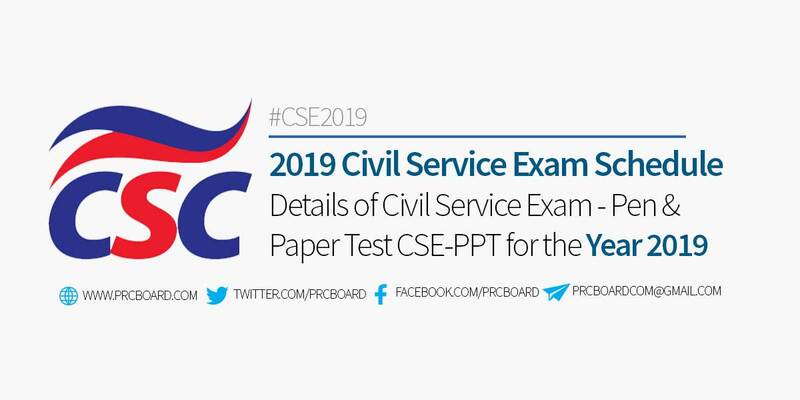 To keep updated on the official result of March 2019 and August 2019 Civil Service Exam CSE-PPT, we advise our visitors to bookmark this page, visit CSC official website, follow us at our social media pages via Facebook and Twitter or join the members discussions at our Facebook Group. Ask ko lang po kung saan ako pwede mag pa register along NCR po. Then pwede po ba mag pa register during weekend ? 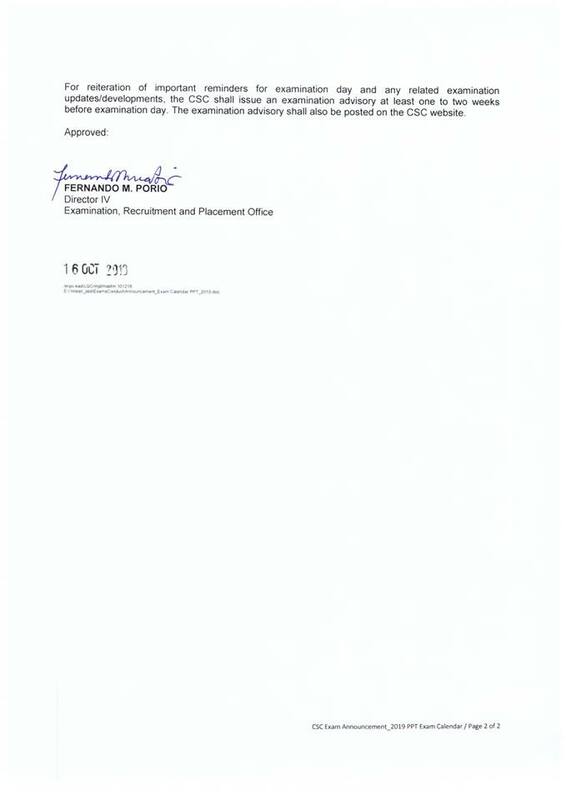 san po pweding mag file ng application? pwede po bang mag file during weekend? Pwede po bang mag take sa exam kahit nag stop ka sa pag-aaral pero enough na ang units para sa requirement? Thank you po. Kelan po last day of passing the req. ?